The move is in a bid to increase exposure of Singapore’s offerings from a variety of tourism businesses and provide Chinese tourists better information access before and during their trips. STB and Alipay will also share data and analytics on trends in Chinese travel to Singapore with local tourism industry stakeholders, to help the industry better understand and target Chinese consumers with more relevant products and experiences. Additionally, both parties will explore co-investment in joint-marketing initiatives to market Singapore and Alipay merchants, with the objective of increasing visit spend via Alipay platforms. “Partnering with the Singapore Tourism Board will help us present the best of Singapore to our users. With our joint effort on content, data analytics and marketing, we will understand Chinese customers and local merchants better, making visits more enjoyable and businesses more efficient,” Tony Tai, global head of marketing and operations, Alipay, said. “This collaboration forms part of our overall strategy to better engage our visitors through digital channels. With a like-minded partner such as Alipay, we will be able to better understand our Chinese visitors’ needs. In line with our new destination brand ‘Passion Made Possible’, our Chinese visitors are also encouraged to share and deepen their passions in Singapore easily and conveniently through Alipay’s platforms. This will in turn increase overall visitor satisfaction, increase tourism receipts and drive repeat visits,” Quek Choon Yang, chief technology officer of Singapore Tourism Board, said. Tourist spending in Singapore has increased by 15% in the first quarter of 2017, with tourism receipts reaching SG$6.4 billion, according to STB’s Q1 2017 Tourism Sector Performance report. 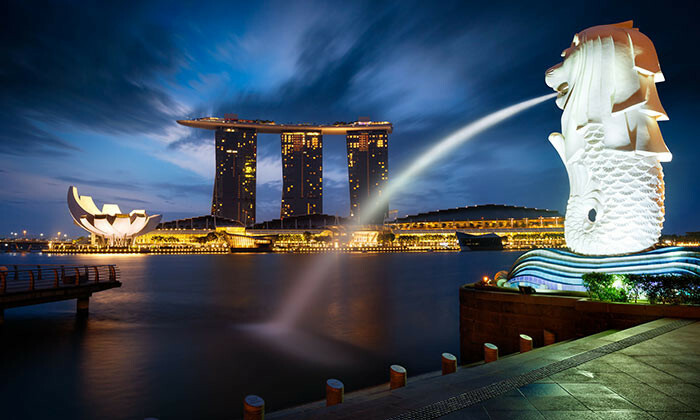 China topped the list of tourism spending in Singapore, generating SG$1,075 million. It was the top international visitor-generating markets, with the number of visitors from China increasing by 14% to 851,000 in 2017. Dentsu president Yamamoto vows to create a "new Dentsu"
"Most of the time, founders simply do not have the experience in running large scale organisations." ..
Adidas’ marathon faux pas: Can you afford to be careless with branded posts?